Are you ready for the Chilling Adventures of Sabrina? Today, Netflix released a first look at the upcoming TV show. 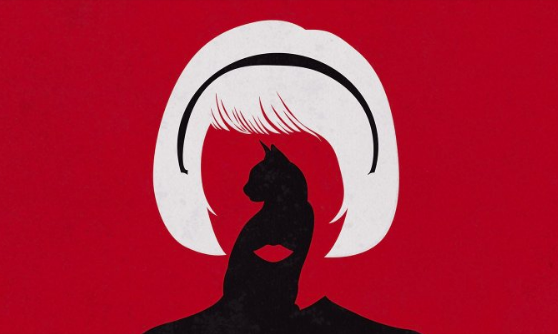 A spin-off of Riverdale, the scripted drama “reimagines the origin and adventures of Sabrina the Teenage Witch as a dark coming-of-age story that traffics in horror, the occult and, of course, witchcraft.” The cast includes Kiernan Shipka, Jaz Sinclair, Ross Lynch, Miranda Otto, and Lucy Davis. Chilling Adventures of Sabrina debuts on Netflix on October 26th. 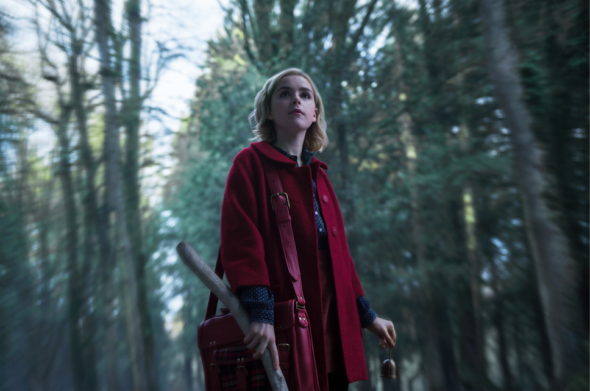 Netflix released today the first two official photos from the highly anticipated new series Chilling Adventures of Sabrinawritten by Riverdale showrunner Roberto Aguirre-Sacasa. Premiering October 26, the series imagines the origin and adventures of Sabrina the Teenage Witch as a dark coming-of-age story that traffics in horror, the occult and, of course, witchcraft. Tonally in the vein of Rosemary’s Baby and The Exorcist, this adaptation finds Sabrina wrestling to reconcile her dual nature — half-witch, half-mortal — while standing against the evil forces that threaten her, her family and the daylight world humans inhabit. What do you think? Are you a fan of Riverdale? Will you check out Chilling Adventures of Sabrina?